First published in 1971, the five essays in this book were written by young philosophers at Cambridge at that time. They focus on two major questions of ethical theory: `What is it to judge morally?' and `What makes a reason a moral reason?'. 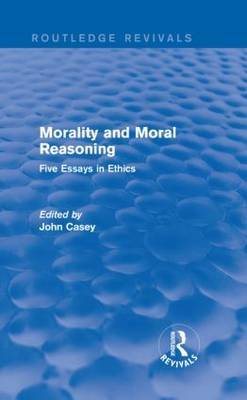 The book explores the relation of moral judgements to attitudes, emotions and beliefs as well as the notions of expression, agency, and moral responsibility.